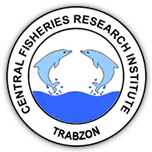 1 Institute for Marine and Coastal Environment of the National Research Council, Detached Branch of Capo Granitola (IAMC-CNR), Via del Faro No:3, 91021, Torretta-Granitola (TP), Italy DOI : 10.4194/1303-2712-v14_1_19 Viewed : 2026 - Downloaded : 1969 In this study, an economic analysis of the effect of pingers as "anti-depredation" devices on artisanal fisheries and dolphin depredation was performed. By comparing the data of the gross Profit Per Unit Effort (PPUE) over 29 fishing days for two identical nets (900-m long, one was equipped with pingers, and the other did not have pingers), was assessed the following: the different production trends of the nets (Advantage of Production, AP) and the Return Of Investment (ROI) for the purchase of the pingers. Considering the difference in the PPUE values of the two nets, the frequency of the dolphin interaction, and the effort of fishing activities, was assessed the one-year economic losses (ED) due to dolphin depredation. Moreover, was assessed the economic damage caused by the destroyed area of the nets. The AP over 29 fishing days for the use of the pinger net with respect to the control net is 25.7 Euros for each 50 m of net. The ROI for the initial investment of the pingers (4 pinger = 800 Euro) is 50 fishing days, and the ED is 1400 Euros. The damages suffered by the control and the pinger nets were 33 m2 (90 Euros) and 22 m2 (91 Euros), respectively.